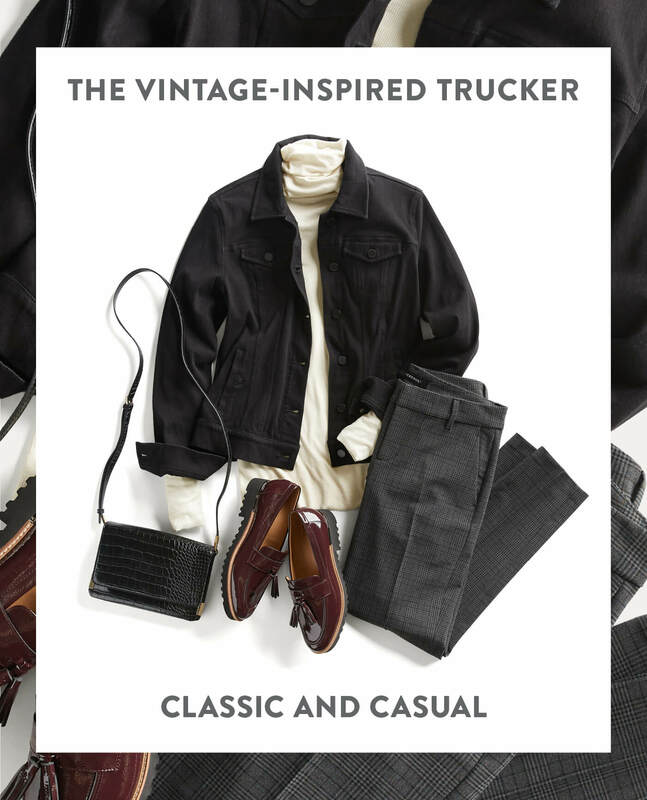 The denim jacket has been around in one form or another for centuries, making its first appearance in the late 1800s when a certain jeans genius created the “working blouse.” Over time, its practical work-wear esthetic was replaced with sleeker, more modern styling and details. 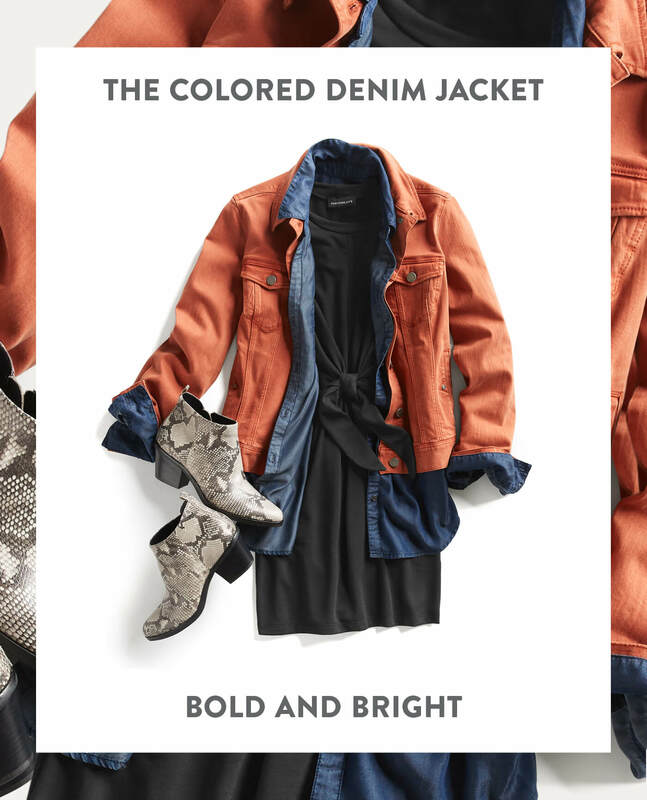 These days, you’ll see denim jackets in a variety of cuts, colors and finishes. 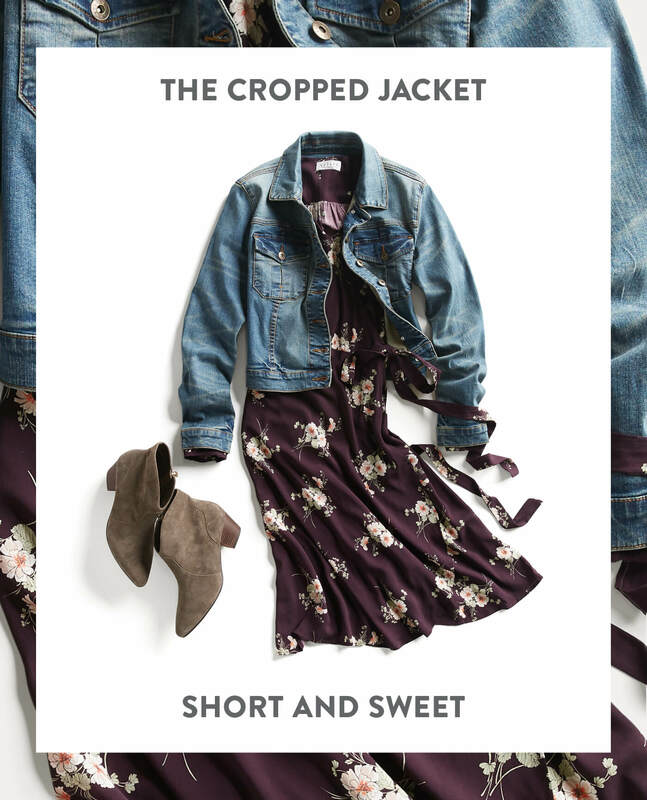 Whatever your style, a denim jacket adds a layer of warmth—and whole lot of cool—to any outfit. Check out our favorite denim jackets and learn how to style them. The perfect partner for your casual dresses (even sundresses! ), a cropped denim jacket sits above your waist, shows off more of your dress and elongates your overall silhouette. It’s a win-win-win. Pair it with a cute pair of booties for a fresh finish. Dipped in a dark wash, this child of the Wild West gets a modern update, yet still retains its rugged character. We love it paired with a contrasting, cozy turtleneck, understated plaid bottoms and shiny loafers. Never fear, the more traditional blue Trucker works wonders when paired with more casual pieces. Not all jackets are created blue. Certainly not this lovely little number. Go tone on tone with a fluffy fleece pullover in a similarly soft shade. Pair it with peachy flats and dark pants to create contrast and visual interest. 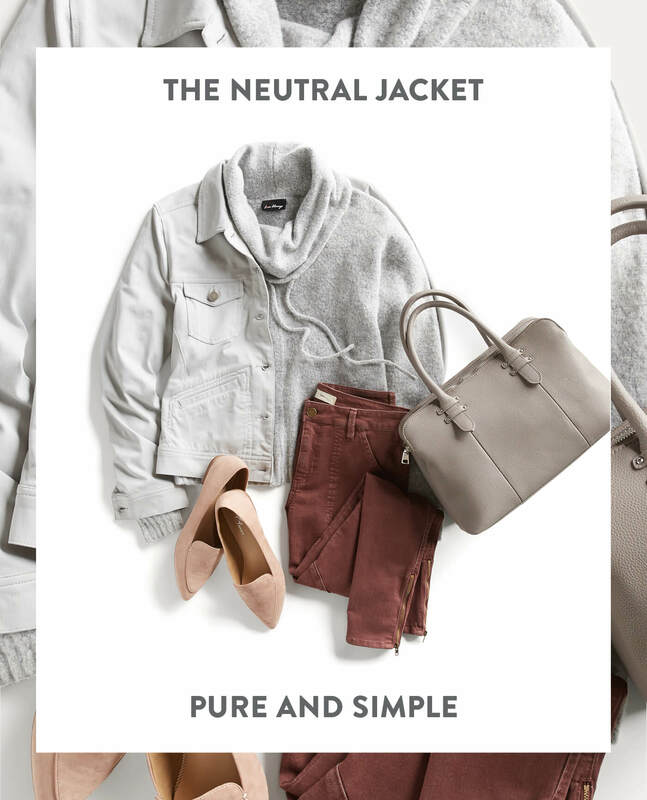 The shining star of any outfit, a colored jacket works well with muted layers. We love the unexpected lengthening layer of a denim shirt over a dark knit dress. Speak to your inner wild child as well—finish the look with snakeskin booties. 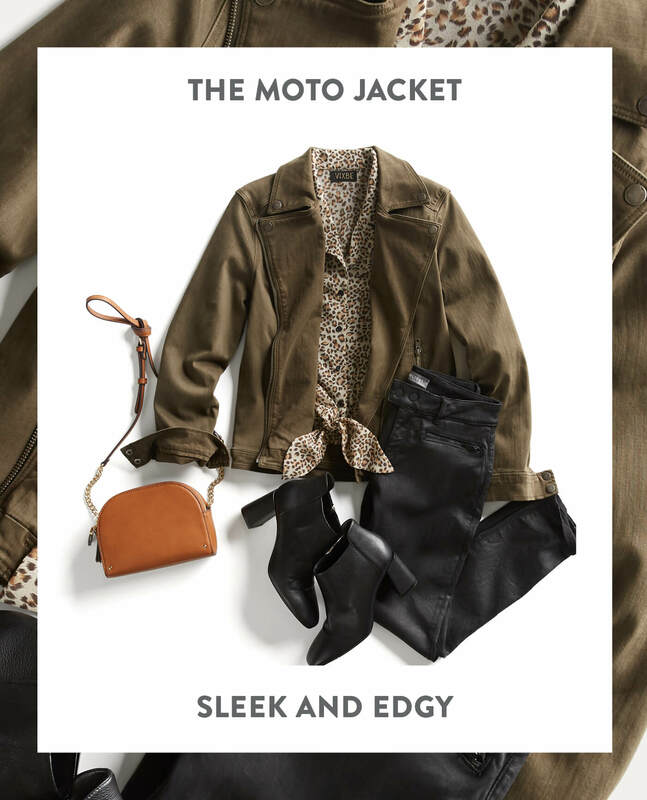 A denim moto jacket skews more lady-like rock-and-roll than tough biker chic. That said, it looks downright sharp with a pair of black skinnies and stacked-heel booties. Add a feminine twist with a tie top in a playful print and a poppy-colored crossbody bag. Styles may come and go, but the iconic denim jacket is here to stay. Schedule a Fix and let your Stylist which fresh take on denim you want to wear.